Uninstall the Deako Faceplates from all switches in the circuit by pulling from both corners. In 3-way and 4-way circuits, the load is the switch closest to the load of the circuit (a light, fan, etc.). Trouble identifying your line & load? Install a Deako Smart Dimmer into the load location of the circuit. 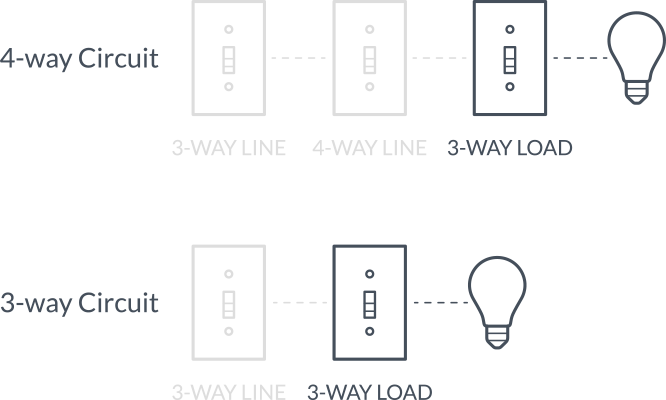 Install a Deako Smart Switch into any of the line locations of the circuit (3-way circuits will have one line location, 4-way circuits will have two ore more). Replace the Deako Faceplates by snapping them onto the backplates. Deako Smart Switches and Smart Dimmers are single-pole by default. To change them into 3-way and 4-way switches, follow the instructions above. If you would prefer written instructions, click here. 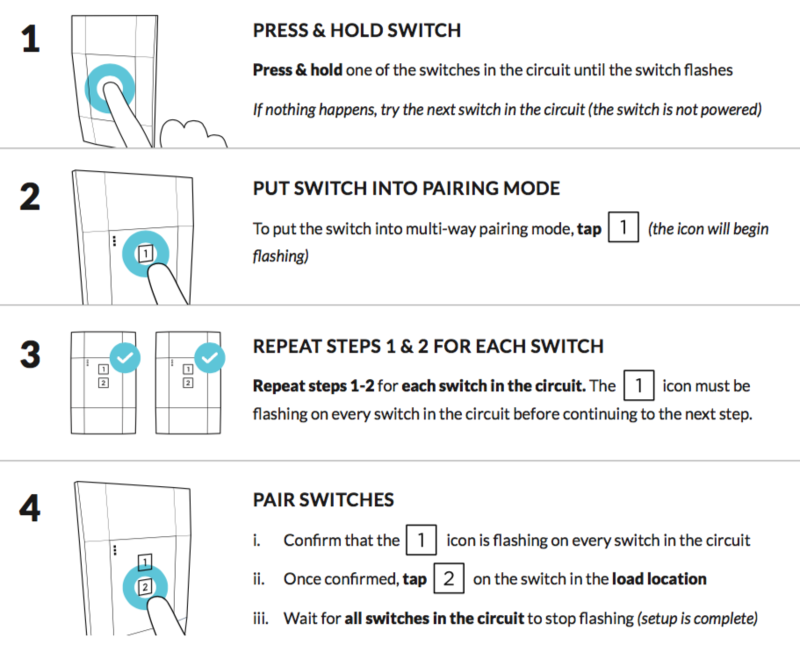 If a switch continues flashing for more than a minute, exit pairing mode by pressing and holding the switch for 6 seconds. Then, before retrying, factory reset each switch in the circuit. How do I factory reset a Deako Switch? If you have installed Deako Smart Products, click below to learn more about the Deako App. If you would prefer a PDF of the installation guide, click here to download it.